Over the past month, I’ve been busy working with the incredible Natalia Martinez of Design Lab Creative Studio to create a DINOS™ logo for us all to enjoy. After meeting Nat last year when she volunteered for StubbyDog to create the 2012 Superheroes Calendar, I jumped at the chance to hire her for this project. And I couldn’t be any happier with the results. Not only is Nat ridiculously talented and generous, but as a dog lover herself, she is super excited about the DINOS mission. 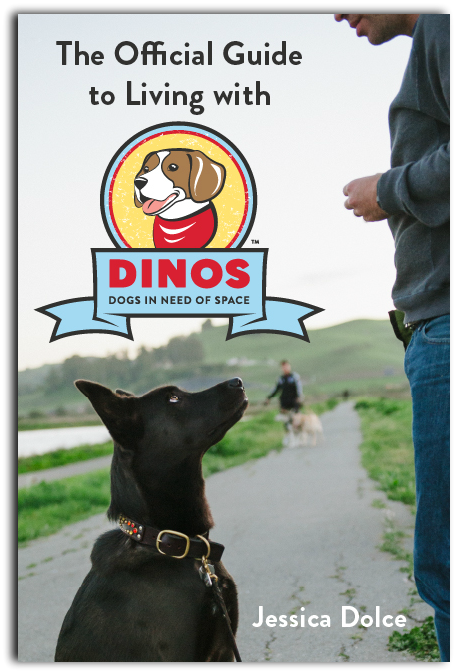 She totally gets our dogs and wanted to create a logo that would help spread the word: DINOS are GOOD dogs, they just need space. Together we worked to create a logo that would capture the positive spirit of the DINOS community. In the coming weeks, Nat and I will be working on designs for DINOS gear, like t-shirts, that will be available for purchase through Cafe Press. In the very near future, you’ll be able to tell the world that you want some space and do it in style. As soon as the store is up and running, you’ll be the first ones to know! And for anyone that has ever felt alone or thought they were the only one with a DINOS, now they’ll know that they’re a member of Team DINOS! I hope you all love these logos as much as I do (I’m actually giving Nat a standing ovation right now, at my desk). If you’re ever in need of a graphic designer or photographer, please don’t miss your chance to work with her! And stay tuned for more DINOS gear news! Would love a bumper sticker for my Jeep! That way I can help promote DINOS! 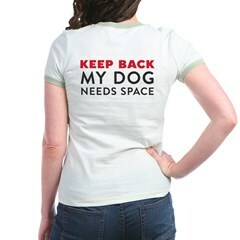 How about a dog t-shirt for my DINOS! Cool! 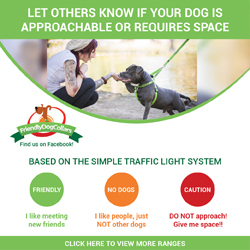 Please make them available worldwide: not just the U.S! Cafe Press ships internationally, so the store will be available for everyone – woo hoo! She absolutely rocks. I met her at a photography workshop and kept in touch via email and facebook. Her work is incredible. I’m getting a new logo this spring! Can’t wait!! Love it! Can’t wait to have the world know why I’m avoiding them!